An epic fantasy with a dark and devious twist; a swords & sorcery thriller set in a land where men have unbridled influence, but women hold the reins of power. 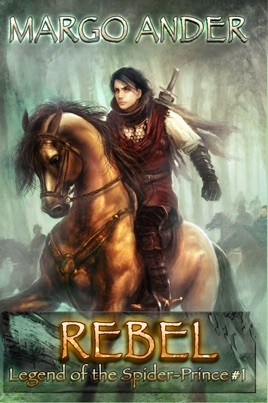 When blood-feud and rebellion escalate into war, a young rebel becomes entangled in a deadly web of magic, intrigue, and revenge as a widening conspiracy threatens to overturn governments, collapse civilization, even endanger the very existence of life on Eryth—and make him a legend. Wyl has been a lot of things in his short life: an outcast, a rebel spy, a bodyguard, a mercenary’s foster-son, and the best pupil of Trascolm’s greatest warlord. But when a battle magically turns against the rebels and his leader flees into hostile, neighboring Dremnar, Wyl is called upon to be what nothing in his brutal life has prepared him to be—a diplomat. He’s in over his head, making enemies instead of allies, and when a new menace threatens his leader, it will take every dirty trick he knows to keep her alive—if he doesn’t get himself killed, first. I’m on the fence between 4.5 and 5 star review, however, I’ll admit that I loved it, flaws and all, but more of that at the end. Wow, thank you. An author who writes with pronounceable names. While I’m used to spending more time decoding word sounds AND trying to figure out what the item is, you don’t have to do that here, even if there are some unique words. The setting was beautifully described. From the battlefields to the kingdoms, you always have a clear picture in your mind, but it didn’t clutter the pages so much that i skimmed. Excellent job here. Wyl, I loved him. I cried when he wouldn’t. For a coming to age story, I just felt this was perfectly executed. His struggles were 100% real and applicable to younger MG and up. There were times, I encouraged him forth, and other times I tried to protect him. Any young man or parent can easily identify with his bravery and heart. The others … While I understood what was happening, and these characters were also well written, I didn’t really connect with anyone except the other young boy. This of course can and surely will change in the future as I await the release of the next books. The story itself reads as not only the beginning of the series, but a true coming of age/station for Wyl. We watch him grow-up, stumble, fight, and persevere. A bit more action in the beginning would’ve been nice to move it on a little faster. It wasn’t anything major, and I still managed to read the story from beginning to end in less than eight hours. There are a few sub-plots that arise and I felt they were executed well too. Not enough explanation on the magic of the weather-mage … but I love magic in stories so this could just be me. Little explanation about Wyl’s sire since I have a sneaky suspicion this is on special kid, or maybe it’s wishful thinking. The bed play references … while the second one is understandable, the first kind of made me do a double take. It’s not the context so much as the visual image I received as an adult. Would a YA/MatureMG draw what I did, I can’t say, but … yeah. Finally, I did pick up on a few missing commas, but it didn’t affect the readability. I’m hooked and after buying a copy, I plan to let my son read it too. I’d recommend for YA lovers, fantasy lovers, and even kids 10 and up. I look forward to reading the next in the series, and happy to see another dark fantasy.